When we think of big-name schools, rarely do we jump to considering their satellite college campuses (in fact, it could be said that a lot of people don’t even know that some schools have satellite branches). But often, these major/better-known locales are just one piece of a very large puzzle. Branch campuses and satellites, whether a stone’s throw from the main campus or halfway around the world, can be quite accomplished in their own right, leveraging their smaller sizes and particular varying locations to offer college experiences the flagship can’t match, i.e. cultural integration or location-specific majors and programs. The following ten schools have developed renowned enough reputations to pull themselves out of their big brothers’ and sisters’ long and expansive shadows. For a school that wants to grow its reputation of being a leader in technological education, where would be a better place to set up a satellite college than right in the heart of Silicon Valley? Over 2,600 miles from Pittsburgh, this CMU campus in Mountain View, California, is surrounded by names like Google, Microsoft, and Yahoo. The campus has made a name for itself in several areas, least surprisingly in tech research like that done in the Mobility Research Center. But the branch is also a noted social good practitioner, launching the Disaster Management Initiative to support new solutions for crisis management, and developing a tradition of fence painting to raise money and awareness for worthy causes. Penn State has no fewer than 20 undergraduate campuses scattered throughout Pennsylvania, all of which have their own accomplishments to hang their hat on. But to us, the Erie location impresses the most. This school’s beautiful 725-acre campus is second only to the main campus, as is its graduation rate. It is especially proud of its plastics training lab, which at 10,500 square feet and housing 10 multi-ton injection molding machines and other devices, is the biggest of its kind in the country. Although once known as a commuter school, the Flint campus has grown into its academic reputation with enhanced student activities and housing options. The school has an excellent pedigree of turning out nurses through both its accelerated nursing and doctor of nursing programs. Thanks to the Student Veterans Resource Center, UM-Flint is also an inviting school for returning soldiers. A branch of the University of Texas Medical Branch in Galveston, this campus in Houston is right in the heart of arguably the best medical center in the world. Through affiliations with leading cancer center MD Anderson, Children’s Memorial Hermann, and other hospitals, the Houston campus is able to train young doctors in world-class clinical environments. This satellite college branch is regularly ranked highly for being a top med school for Hispanic students, as well as nursing, dental, and dermatology students. In fact, it’s the only medical school in the entire state with six colleges. Mention anything remotely Aggie-related around a student or grad from here and you’re sure to hear a “Whoop!,” but TAMUG certainly has its own (salty) flavor not found in College Station. If you live in Texas and you want to have a career in marine biology, you wouldn’t think of going to school anywhere else. Perched right on the edge of the Gulf of Mexico, TAMUG is home to the only maritime academy on the Gulf Coast. With 21 research programs operated out of the campus, from studying sea turtles to marine mammals and invertebrates, the sea is as integral a part of TAMUG as the Dixie Chicken is at the main campus. For those who want an education that bears the Tufts name, but want to get it in a more exotic location than Boston, there’s the Tufts European Center in Talloires, France. Set in what was once a Benedictine priory 1,000 years ago, the center serves as a summer study abroad destination for Tufts undergrads and alumni, adults, and even high school students. Students immerse themselves in French culture by living with host families and taking small, informal classes which feature frequent excursions out of the classroom. They also have the opportunity to learn about the world at large while at the Center, as it is known for promoting international dialogue through events like the Talloires Symposium. Now in its second decade, the IUPUI center for service learning provides students, faculty, and staff opportunities to improve their community through the Office of Neighborhood Partnerships and professors learn how to engage students in volunteering through the Office of Service Learning. This satellite campus now offers Indiana’s premier research university with over 350 undergraduate and graduate degree programs, as well as certifications. The draw of UPB almost certainly isn’t the nightlife in tiny Bradford, Pennsylvania, as this satellite college town claims just 8,700 residents. Students come for its reputation as a place they can get the quality of the Pittsburgh flagship without getting lost among nearly 30,000 other students. ISU-Meridian is one of two branch campuses for this university, the other being in Twin Falls. But it’s here in northwest Idaho, just 10 miles west of Boise, that you’ll find The Core, an impressive innovation incubator in the vein of the Harvard Innovation Lab. Through it, the school partners with local businesses, educators, and creators to foster new ideas in the realms of health, science, and tech. Public seminars and educational talks are commonplace occurrences here, including such perks as community health discussions and screenings. Being The Core’s anchor collegiate affiliate has helped it grow its reputation of being a driver of both economic and research development in the state. The Fort Collins location is known for being eco-conscious, having lovely grounds, Rams football, and more. CSU-Global, on the other hand, has a campus of a completely different stripe: it’s digital. 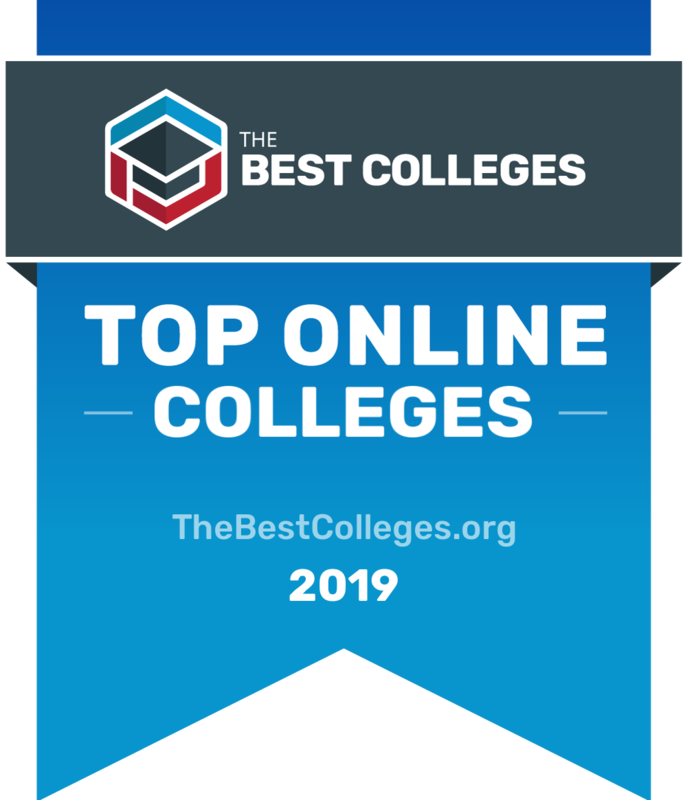 Since its inception in 2007, this 100% online satellite college has become a leader in offering higher education for adult learners and others for whom a traditional campus is not in the cards. CSU-Global’s reputation is one of working with students to make school life simpler; they do it by starting classes every four weeks and guaranteeing tuition rates will stay frozen as long as a student is enrolled.